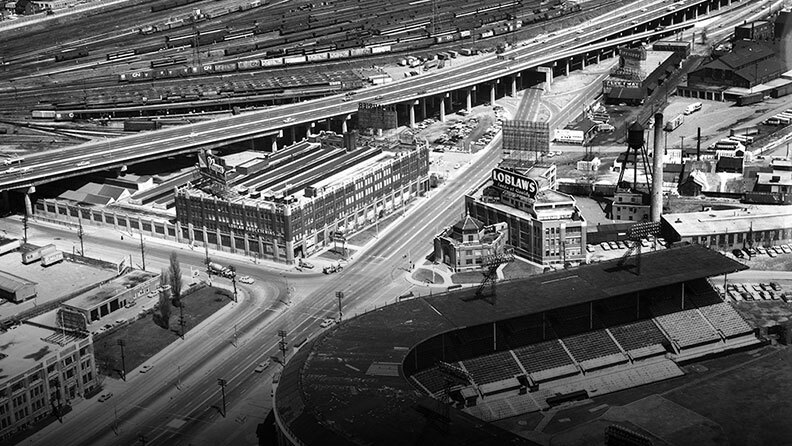 Established 1928. 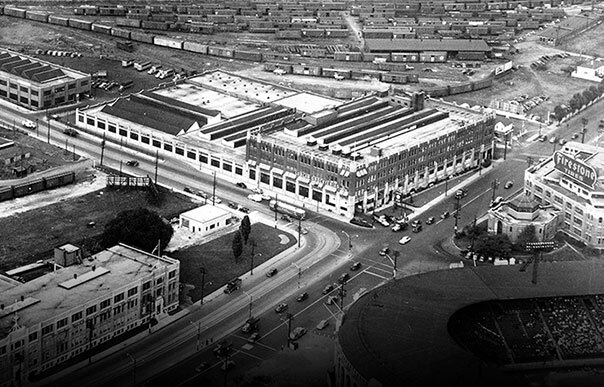 In 1928 Loblaws Groceterias Warehouse was unveiled in Toronto at Fleet and Bathurst Streets, along today’s Lake Shore Boulevard West. 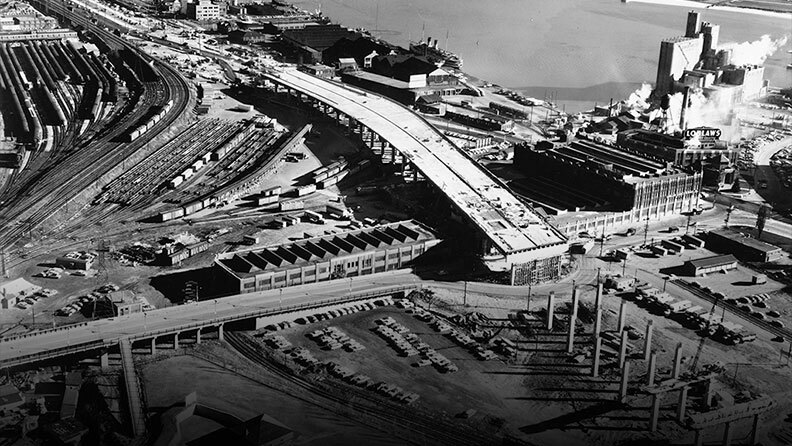 It was one of the first projects constructed on the city’s new reclaimed land. Hailed as a model of efficiency, the Loblaw Warehouse included its own electric tram railway, giant ovens for baking a ton of cakes and cookies each day, huge drums for blending tea, and 22 thousand feet of refrigeration piping. 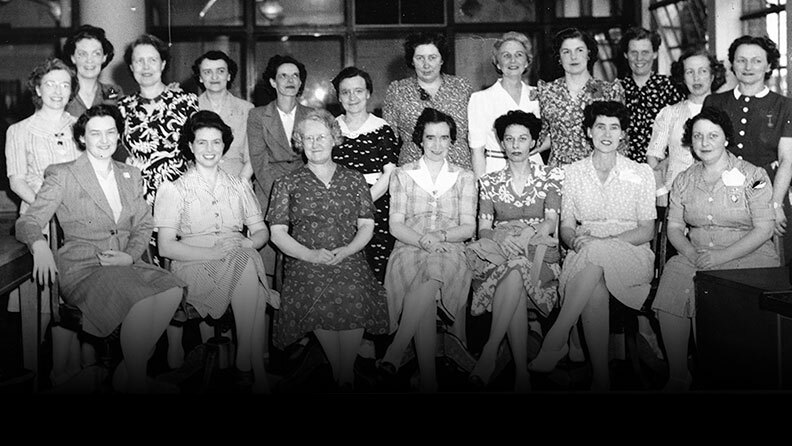 Warehouse employees even had their own bowling alley and an auditorium for performing shows and plays. 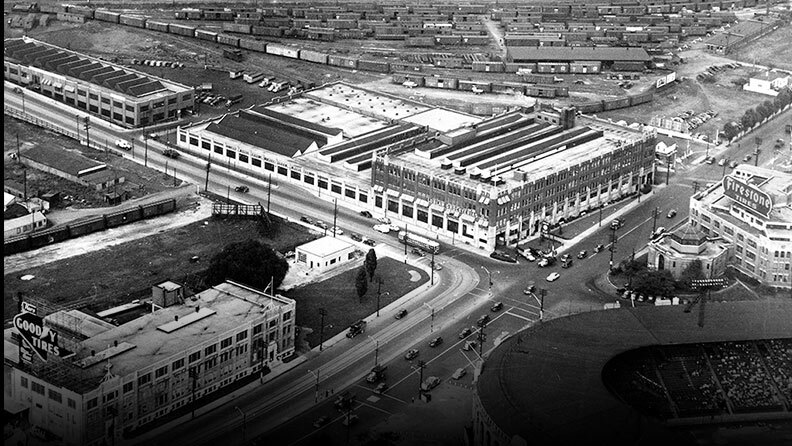 This state of the art warehouse was a place that brought people together from far and wide. 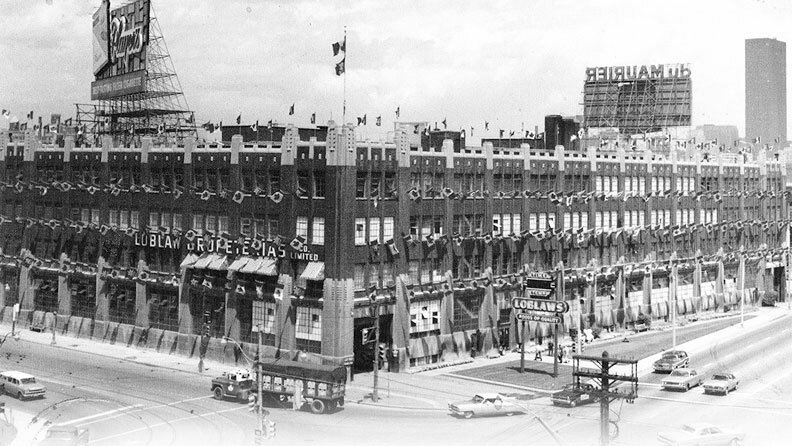 Now, in 2015, it’s time to reestablish this historic site. 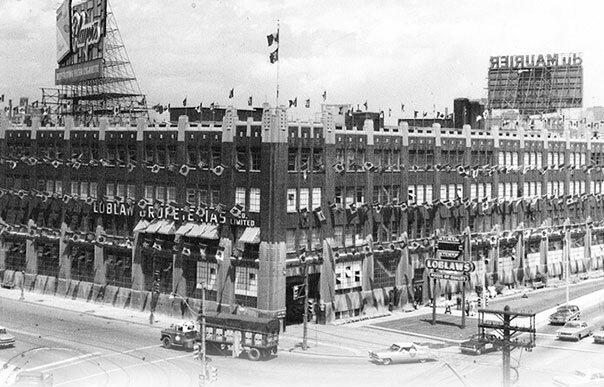 By 1928 the grocer had 69 stores across Ontario. 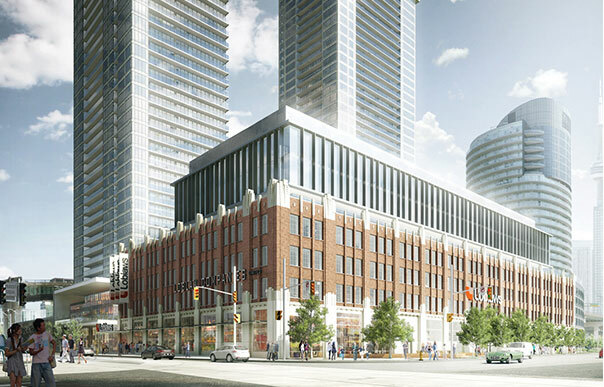 The state-of-the-art Loblaw Groceterias Warehouse & Head Office also opened, in the new and mostly undeveloped lands at what is now 500 Lake Shore Blvd. W.
The chains co-founder, dubbed the “Merchant Prince” by the press, unexpectedly passed away in 1933 at the age of 60. 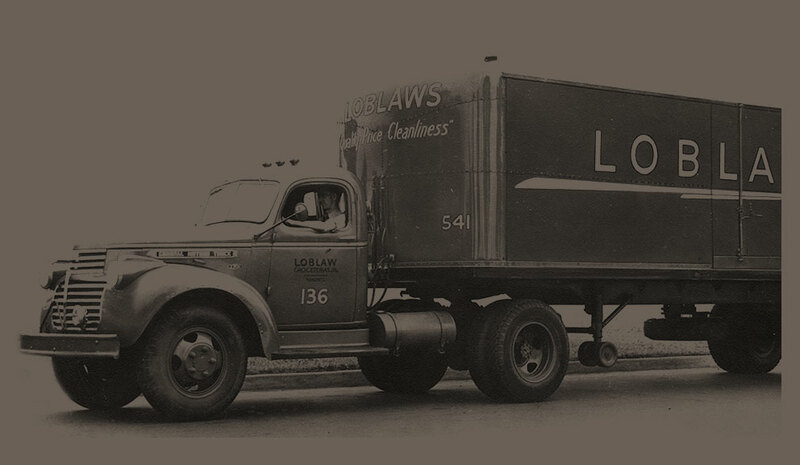 By then, the number of Loblaw Groceterias' locations had continued to grow and by 1936 had grown to over 150 stores in Canada and the United States. 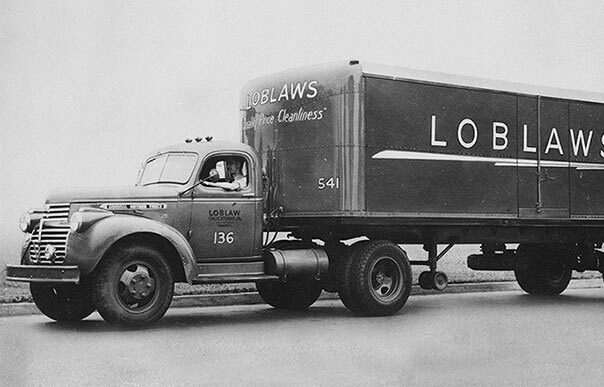 By 1939, the Loblaw Groceterias' signs were replaced by the first “Loblaws” signs on store facades. 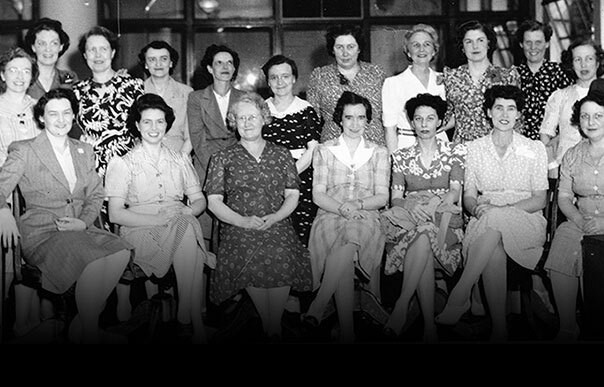 In 1947, Garfield Weston purchased a large block of shares of Loblaw Groceterias Co. on behalf of George Weston Ltd., whose interests also included baking, grocery, wholesaling and paper manufacturing. 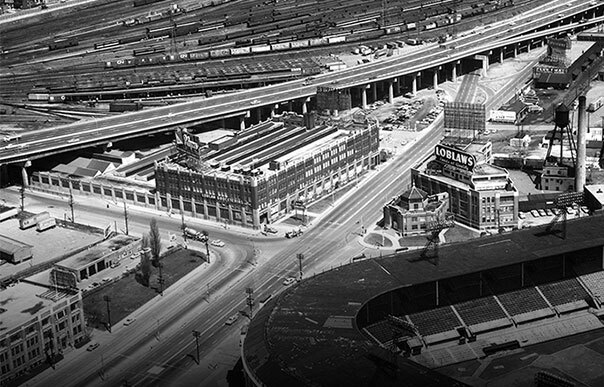 From 1955 to 1966 the Gardiner Expressway was erected above and over the north end of the warehouse. 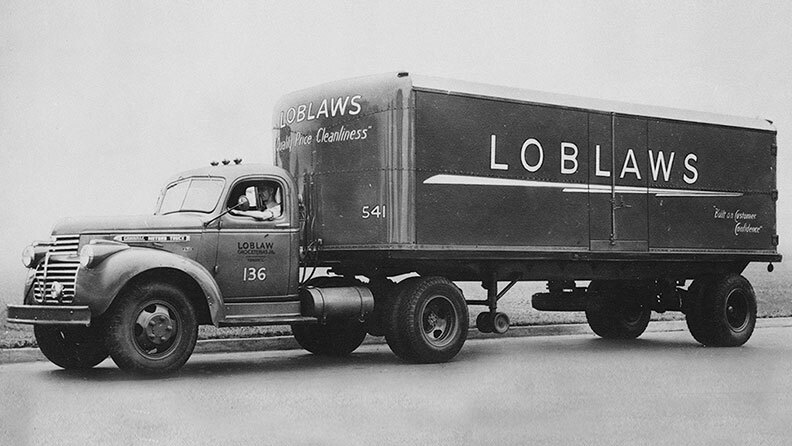 In the 1970s the Loblaws Headquarters moved. 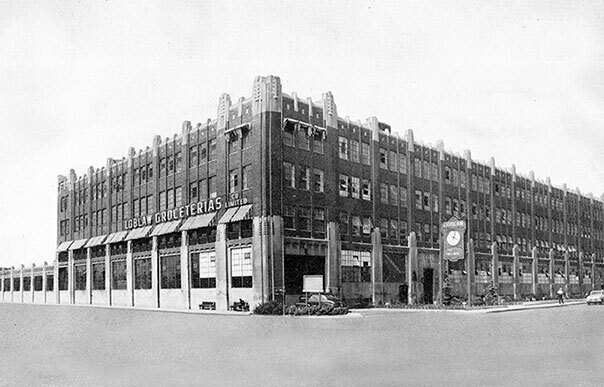 The building was turned over to the Daily Bread Food Bank as a warehouse and distribution centre. In 2000 the food bank moved out and the site has since sat vacant in anticipation of future plans. 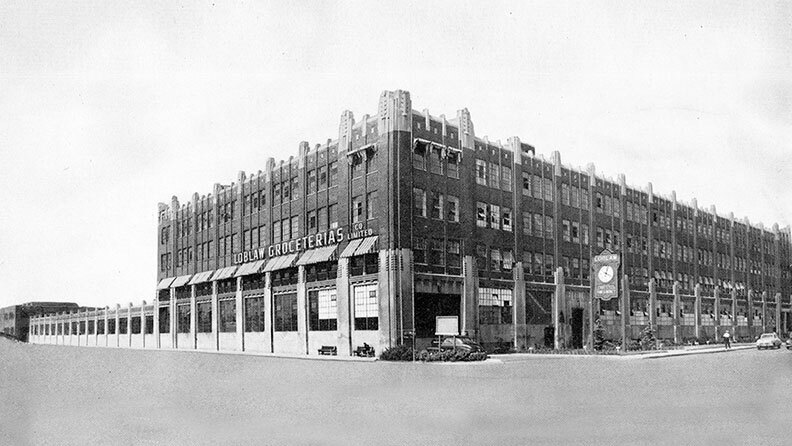 In 2001 the building was declared a heritage property. 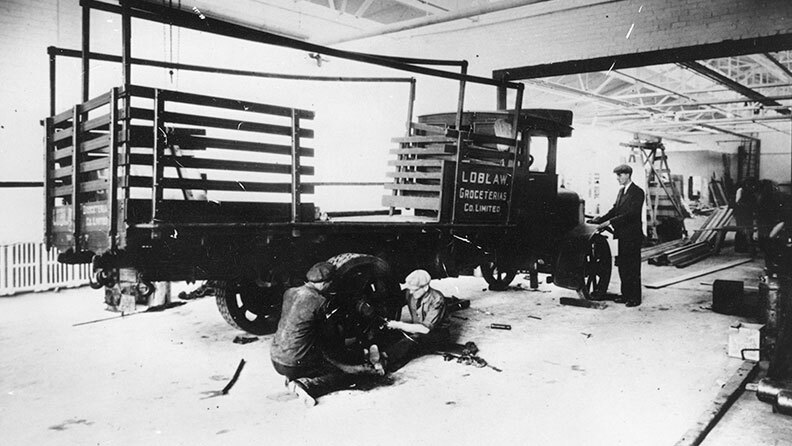 Loblaw Groceterias Co. Limited garage mechanics repairing a delivery truck at the Head Office & Warehouse in 1928. 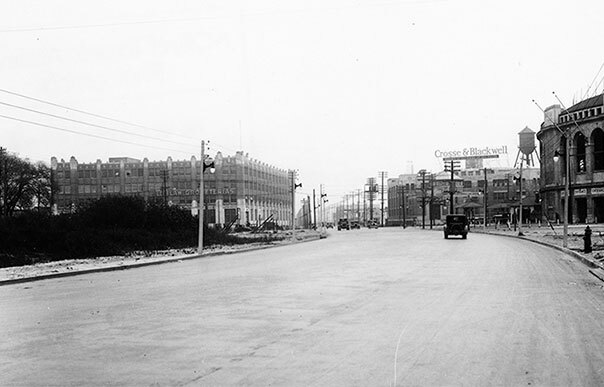 Loblaw Groceterias Co. Limited Head Office & Warehouse as viewed from Fleet Street in 1928. 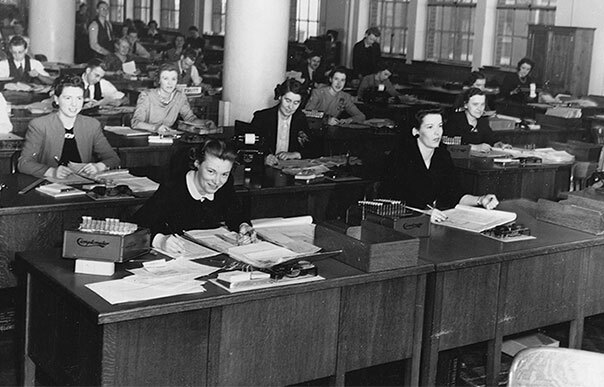 Loblaw Groceterias office employees at the Head Office in 1940. 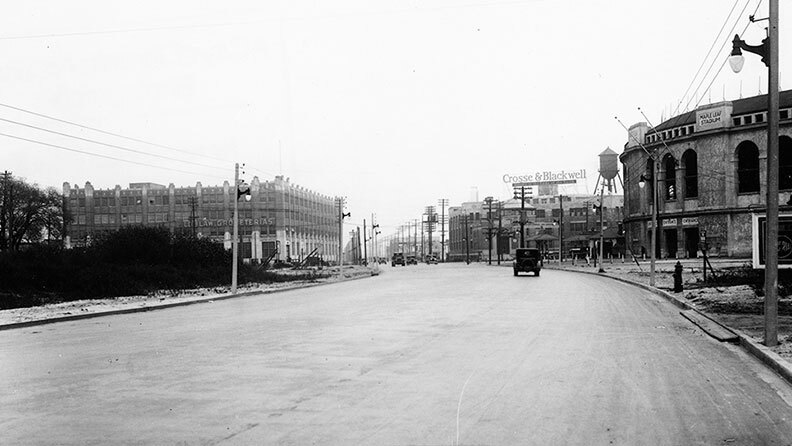 Loblaw Groceterias Co. Limited Head Office & Warehouse pre-Gardiner Expressway Construction. 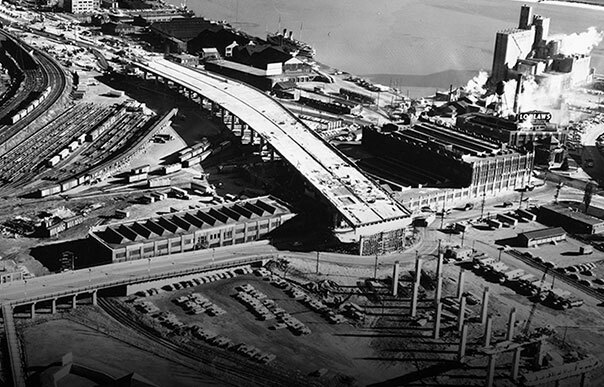 Gardiner Expressway construction in progress over the Loblaw Warehouse in 1960. 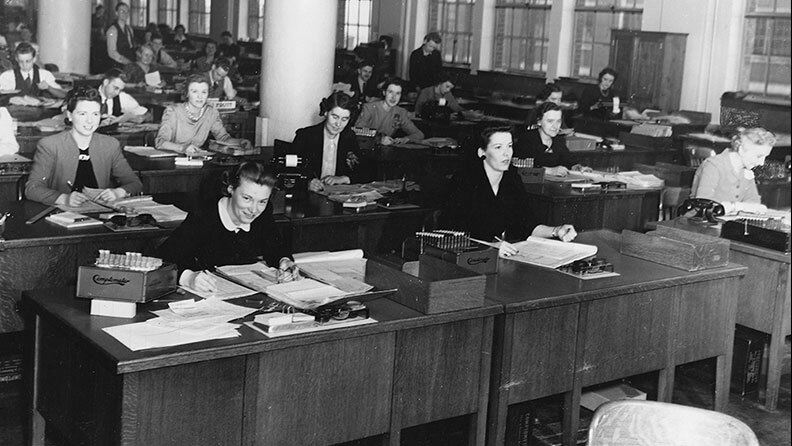 Accounting Department at Loblaw Groceterias Co. Limited Head Office. 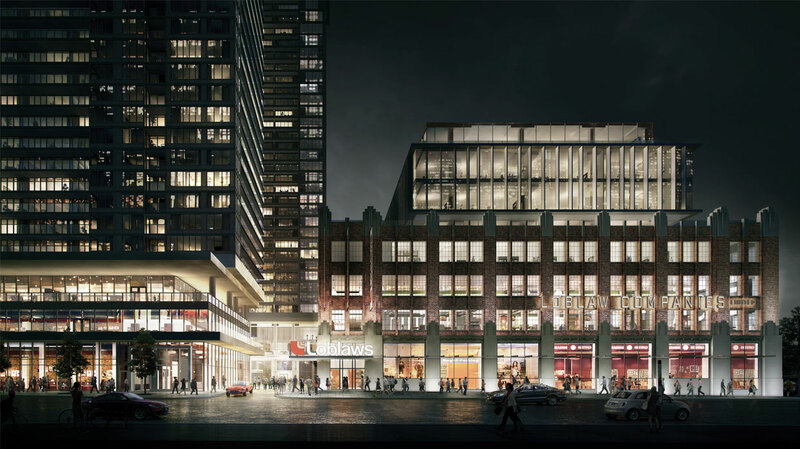 Choice Properties Real Estate Investment Trust is an owner, manager and developer of well-located retail and commercial real estate across Canada. 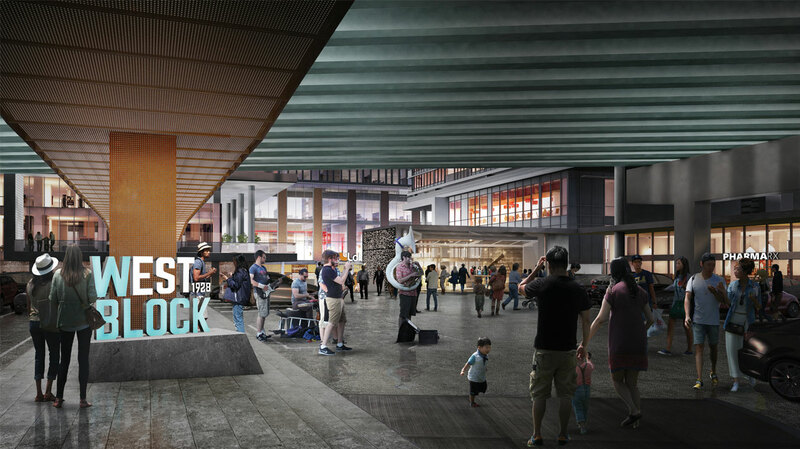 Choice Properties’ portfolio spans approximately 41.3 million square feet of gross leasable area and consists of 513 properties primarily focused on supermarket anchored shopping centres and stand-alone supermarkets. Choice Properties’ strategy is to create value by enhancing and optimizing its portfolio through development, accretive acquisitions and active property management. 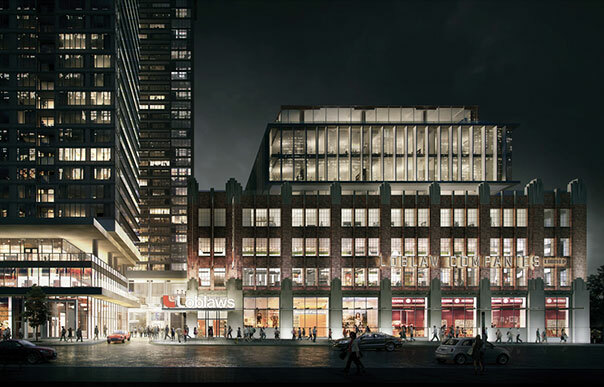 Choice Properties’ principal tenant and largest Unitholder is Loblaw Companies Limited, Canada’s largest retailer. 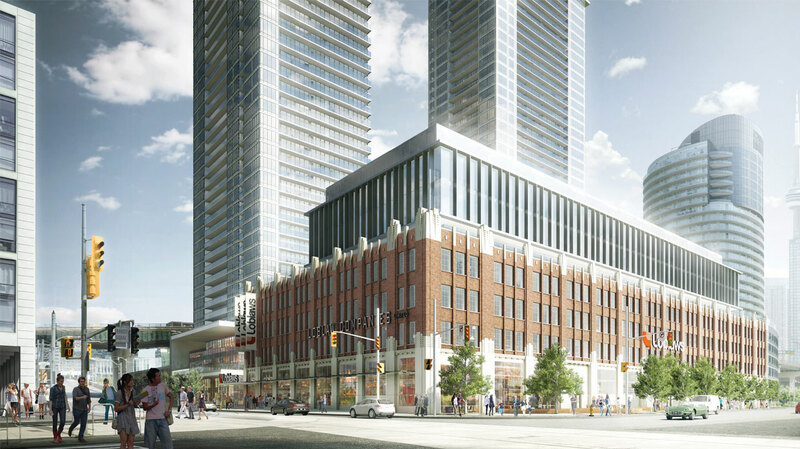 Choice Properties’ strong alliance with Loblaw positions it well for future growth. 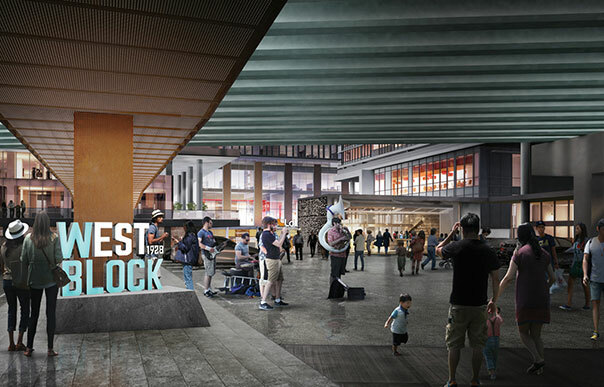 For more information, visit Choice Properties’ website at www.choicereit.ca. 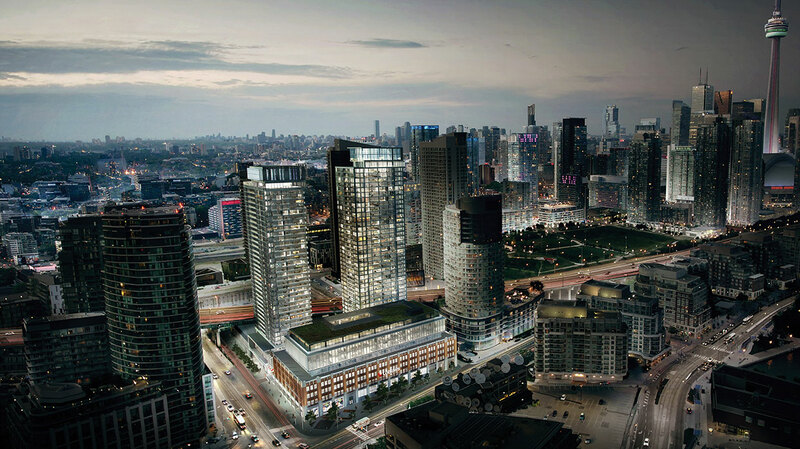 Wittington Properties Limited is the Canadian Real Estate division of Wittington Investments, Limited. 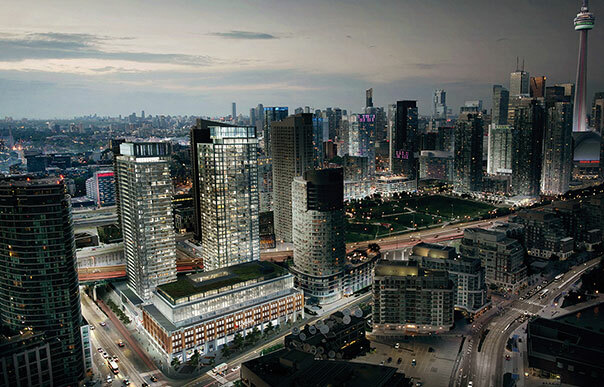 Wittington Investments, Limited is a major shareholder of George Weston Limited, one of North America’s largest food processing and distribution groups which operates under the Weston Foods and Loblaw banners. Wittington also controls Selfridges Group Limited, which operates luxury fashion retail stores (Holt Renfrew in Canada, Selfridges in the United Kingdom, Brown Thomas in Ireland and DeBijenkorf in The Netherlands). © West Block. All Rights Reserved.